We are a leading Manufacturer & Supplier of Ribbon Blender such as Powder Mixing Ribbon Blender, Double Helical Ribbon Blender, U-Shape Ribbon Blender, Mixing Ribbon Blender, Ribbon Mixing Blender, Ribbon Type Blender and many more items from India. 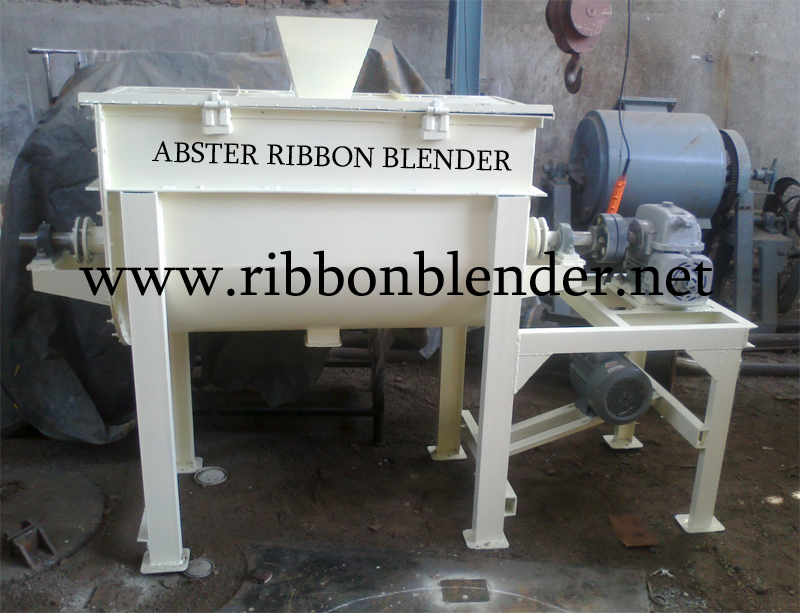 The design of the Reaction Ribbon blender also makes suitable to dry stage reaction for the application such as starch, gum and cellulose derivatives. We also offer a various range of accessories such as liquid spray system, controlled rate discharge device, jackets to control or to vary the temperature of the mass. Food, Pharma, Chemical, Minerals, Guar Gum / Starch / Cellulose etc. The blending cycle includes three phases: the feeding, the actual mixing, and discharging. The sequence in which the individual materials to be mixed are filled into the mixer can make the mixing process easier or more difficult. To achieve optimum results, the discharging should take place so there are no risks of segregation. Costs for energy and wear should be as low as possible. Finally, it is very important that the mixing cycle takes place as quickly as possible. All of this results in successful mixing. 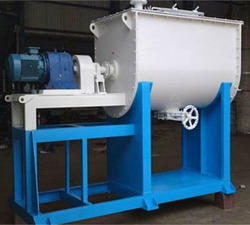 The twin-shaft batch blender has become the widely preferred technology for many applications worldwide. There are mixing blades on both mixing shafts that are geometrically arranged so they follow the pattern of an interrupted spiral. This transports the materials to be mixed in a screw-like movement along the mixing shafts and on each shaft in opposite directions. Toward the end of each shaft, the mixing blades are positioned in counter direction so they can transport the mix onto the opposing shaft. This way, the materials are constantly rotated around the mixing vessel. At the same time, this material rotation process takes place in an inward turning spiral. This results in an intensive three-dimensional movement of material. The two mixing circuits overlap in the middle to further increase the intensity of the relative motion. This creates a high turbulent zone in the middle of the mixing vessel and further intensifies the mixing significantly. it's possible to achieve 95% of homogeneity with only 30 seconds of mixing time. This can be achieved with a relatively low speed of the mixing shafts of only about 20 to 30 rpm. This saves energy, reduces wear, and avoids stress on the particles to be mixed. Discharging is accomplished in a twin-shaft batch mixer along the middle of the vessel underneath the two shafts using a rotary sliding gate. A major portion of the mixed materials empties when opening the gate because of gravity. The rest is pushed out of the opening by the broad mixing blades, leaving almost no remaining residue. The risk of mix segregation is therefore extremely low.